One of the girls whom I used to coach with said to me recently, “I bet you’re a nightmare when the season is finished”. I had mentioned to her that I could not wait for the season to start again. She may be right. She is a lot younger than me and one of the best coaches I have ever worked with. Her ideas were great, the young players, regardless of their ability, totally enjoyed her sessions. I did too. She had no coaching qualifications and seemed to lack belief in herself, despite her obvious talent. ​She had told me about a vacant coaching position that she had seen advertised. She had persuaded me to apply. Here, I revealed my lack of self-belief. I did not think that I was neither ready nor good enough to apply for the post. She believed in me and pushed me on. 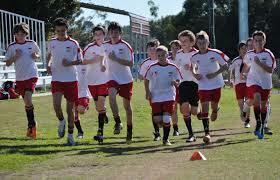 ​Club trial dates are fast approaching. Players being pushed forward to meet their potential at a higher competitive level. Working hard and hoping for successful acceptance into a new club. Perhaps some players not working so hard, in the belief that their places have already been secured. ​I am very much willing the new season on. I will be working with a variety of different ability-level players, or ‘athletes’. One of the tasks that I have is to select a captain and her deputy. ​ When I played, I was given the captaincy at 2 of my previous clubs. The role did not last very long and it was soon taken from me. I was unable to perform to my ability with the weight of the captaincy. The responsibility made me self-conscious and erratic in my play. I was either, too quiet or too loud, but never my normal self. My managers saw this and luckily relieved me of the strain that it was obviously causing me. ​I think that a captain and her deputy need to have several important qualities in their footballing personalities. They also need support from the coaching staff. One of the main attributes which they must possess is an understanding of club expectations and maturity. ​​​​I am grateful that my friend showed belief in me. She helped me to believe in myself. ​As she encouraged me, I realise the value to be found in believing in your coaching colleagues, teammates and players. In my mind, I have already decided on the captaincy and who would be her deputy. They possess a combination of natural and unconventional leadership qualities. However, I also trust that the team will consist of players who are also leaders in their own right, despite not necessarily wearing the captain’s armband.